One of the best wallpaper i've seen..
Love this wallie so much..
really nice, love these decent picture of rukia! love anything that got ichi&rukia pairing! Really nice wall ! Very original, i like the color theme too. 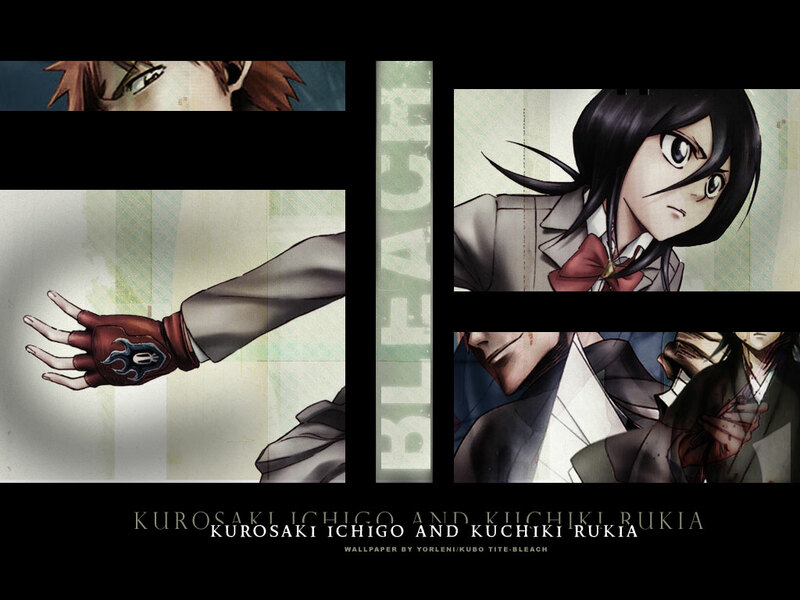 Ichigo and Rukia are soooooo fine together ! you used a rather interesting wallpaper style here to break it up as it is. good job! =) thanks for sharing it with us! I love this! The design is wonderful and i love the atmosphere of it! Nicely put together. It has lots going on, but not so much that it feels like it will clutter my desktop or distract me from my icons. Keep up the good work! This is unique! Keep it up!